AVFI Audio Visual Furniture International Inc. (formerly VFI) was established in 1996 to fill a niche in the video conferencing market for affordable, stylish and durable furniture. Since then, we have grown to be an industry leader in the video conference and A/V furniture market by providing excellent products and service at a competitive price. 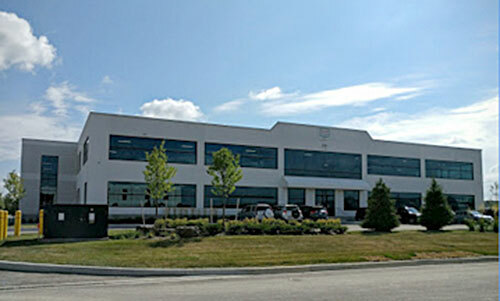 Audio Visual Furniture International Inc. designs, engineers and produces all of its wooden products at its large modern manufacturing facility in Aurora, Ontario. Our products are available from a large selection of distributors and resellers of video conference equipment throughout North America, Europe and around the world. With our large in-stock inventory most orders are shipped either from our factory or U.S. distribution center within 24 to 48 hours of receipt. Audio Visual Furniture International Inc. has constantly been expanding our product lines by listening to our customers' needs and desires. From our original painted videoconference stand, we now produce a complete line of videoconference and A/V furniture in painted and laminate finishes, including multimedia stands, tables, podiums, kiosks, etc. From the beginning, Audio Visual Furniture International Inc. made the decision to specialize solely in the furniture segment of the videoconference and A/V market and leave the equipment sales to our customers. By following this approach, we have become experts in the furniture market and have never competed against our customers over an equipment sale. At Audio Visual Furniture International Inc. our objective is to provide quality products and service that consistently exceeds customer requirements and expectations. To meet these objectives, we are a strong believer in the continuous improvement process and that has empowered its staff to be on constant watch for ways to do things faster, better and at a lower costs. In addition to our continuous improvement programs, we also have extensive inspection and quality assurance processes to insure that our customers get the best product possible. The results of our efforts are that we produce some of the best products in the industry and have many satisfied customers. Audio Visual Furniture International Inc. prides itself on the quality of our customer service. From our professional design team to our sales, logistics and customer service group, our prime objective is to make your buying experience enjoyable. We have spent long hours designing and testing our product packaging to make sure that your product arrives in showroom condition and if it does not just give us a call and we will be happy to replace it at no charge. If you experience problems with your stand after delivery please call our customer service group or salesperson to discuss your problems and obtain a RMA number if warranted. To fill customer orders as soon as possible, Audio Visual Furniture International Inc. keeps large inventory levels at both our Aurora warehouse and Buffalo distribution center. With our large in-stock inventory, most orders are shipped either from our factory or U.S. distribution center within 24 to 48 hours. As our name implies, Audio Visual Furniture International Inc. conducts business in North America and around the world. Our logistic department have extensive experience arranging product shipments by sea or air to destinations around the world. They work with our customers to determine the fastest and cheapest way to get your product to its international destination.